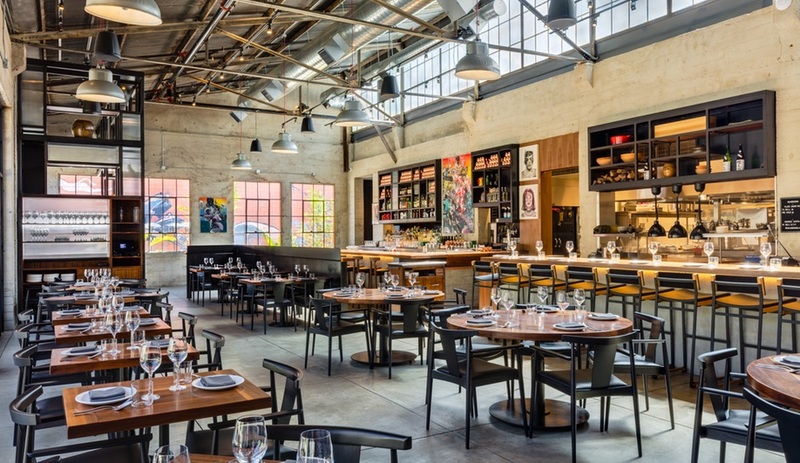 For Majordomo, celebrity chef David Chang’s first L.A. restaurant, Toronto-based DesignAgency turned a Chinatown warehouse into an industrial-chic eatery filled with one-of-a-kind art. In Ugly Delicious, David Chang’s latest Netflix series, the star chef revealed his latest obsession: humble food. Though he travels afar with a cast of culinary A-listers, Chang turns his gaze away from fine dining: there’s an episode about pizza. Another is dedicated to tacos. BBQ gets plenty of airtime. And the most touching instalment finds the Momofuku founder travelling to his parents’ home in suburban Virginia, where he shares the Korean dishes he grew up eating. 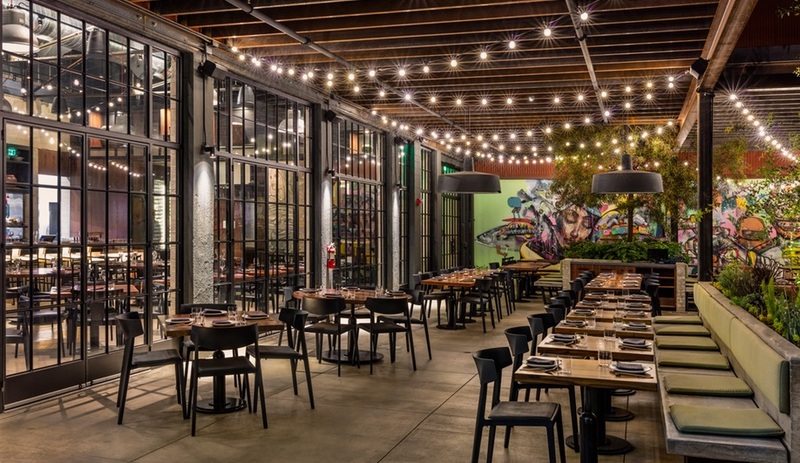 Ugly Delicious showcases Chang’s newfound obsession with uncomplicated, delicious cooking – something that’s on full display at Majordomo, his first L.A. eatery. 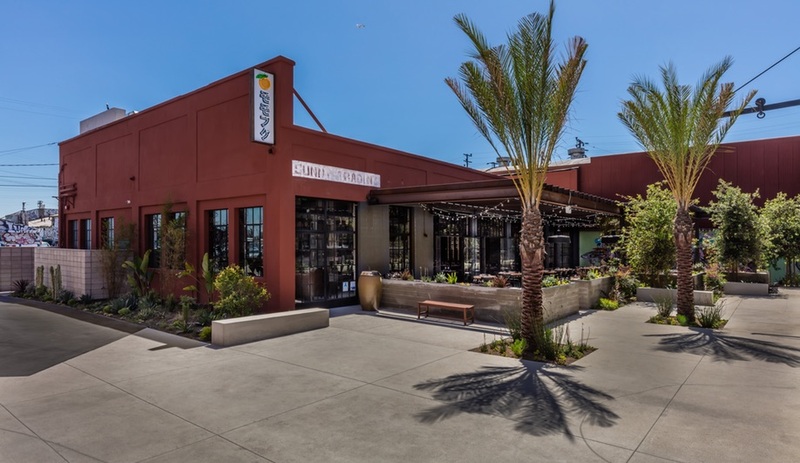 The initial reviews confirmed his vision, hailing Chang’s ability to find commonalities in cuisine, delivering confident – and unpretentious – twists on American and pan-Asian food. 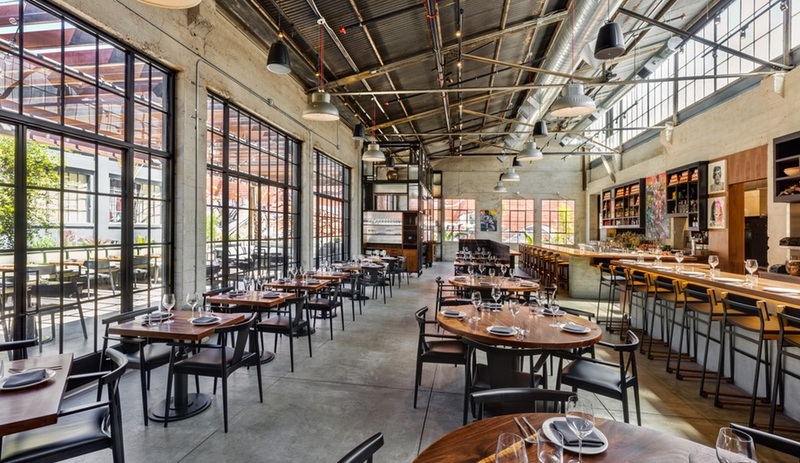 (GQ hilariously likened it to a “utopian Cheesecake Factory.”) The space he chose for the 200-seat Majordomo is similarly reflective of Chang’s current headspace: he selected a former warehouse in L.A.’s Chinatown, nestled between a soy-sauce importer and the Los Angeles River, and tasked Toronto-based DesignAgency with the conversion. 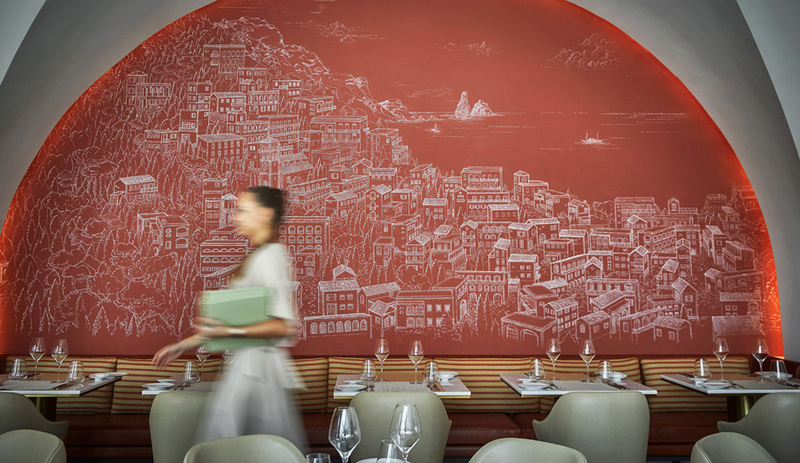 DesignAgency also masterminded Momofuku’s first Canadian outpost, a three-storey, four-restaurant complex in downtown Toronto. 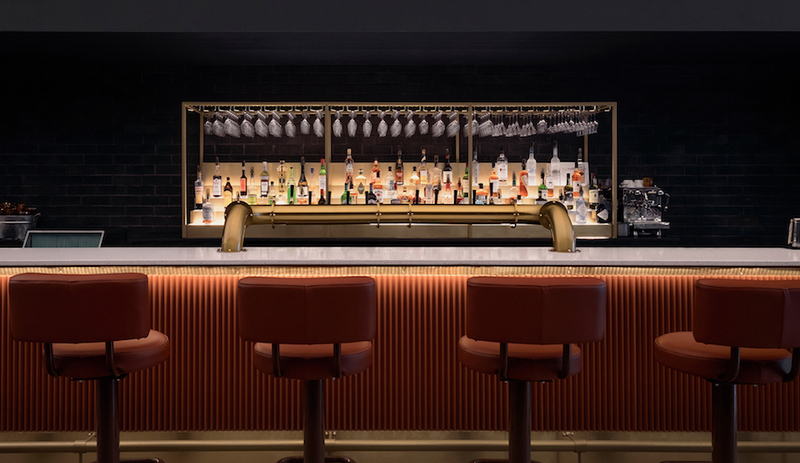 But the projects are decidedly different: while Momofuku Toronto is a bold, glassy statement, Majordomo announces itself almost quietly, with an understated neon sign bearing Chang’s peach insignia (common to other Momofuku restaurants and his sadly defunct magazine, Lucky Peach). Not that anyone’s had trouble finding the place – since its opening, it has been notoriously difficult to reserve a seat. But this isn’t a bare-bones industrial conversion. 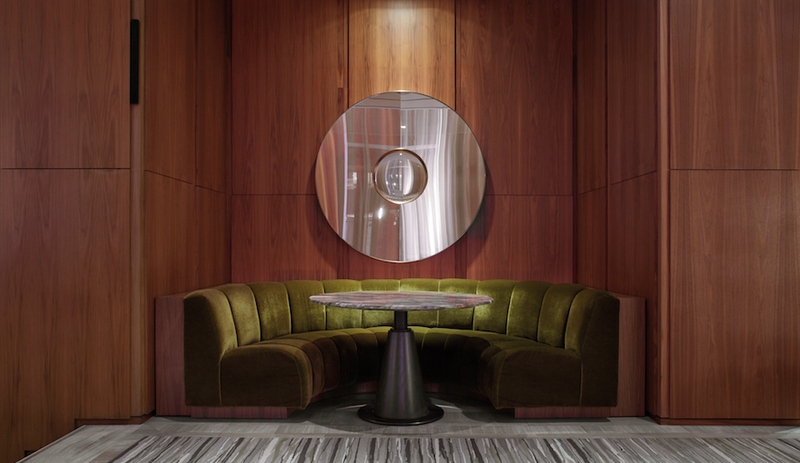 We’ve previously hailed DesignAgency’s ability to bring warmth and character to their projects, and it’s no different here: amid the concrete and steel, the firm installed walnut tables and bar tops, surrounding them with wood, leather and metal seating. In contrast to its grittier surroundings, DesignAgency’s material choices feel almost residential. Blackened metal shelves are used throughout the kitchen and dining room, tying both spaces together. Open pantry-like shelves carry different items, including Onggi pots made by Adam Field, an American ceramicist who apprenticed in Korea. 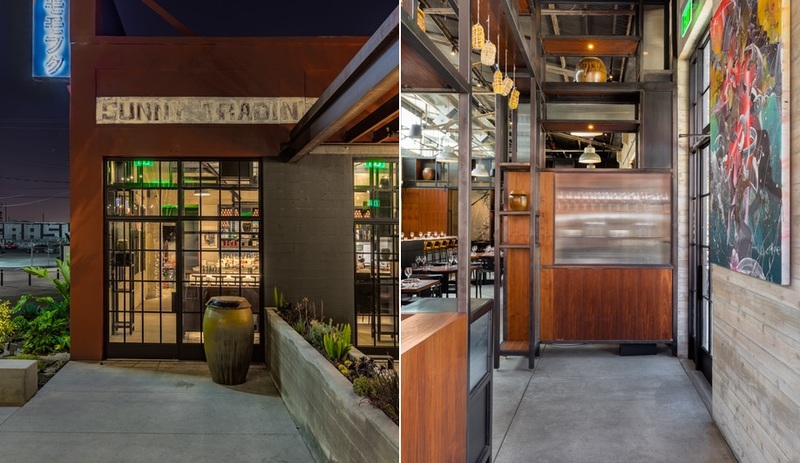 His clay pots are used to ferment foods for Majordomo – perfect for a restaurant with Korean influences. 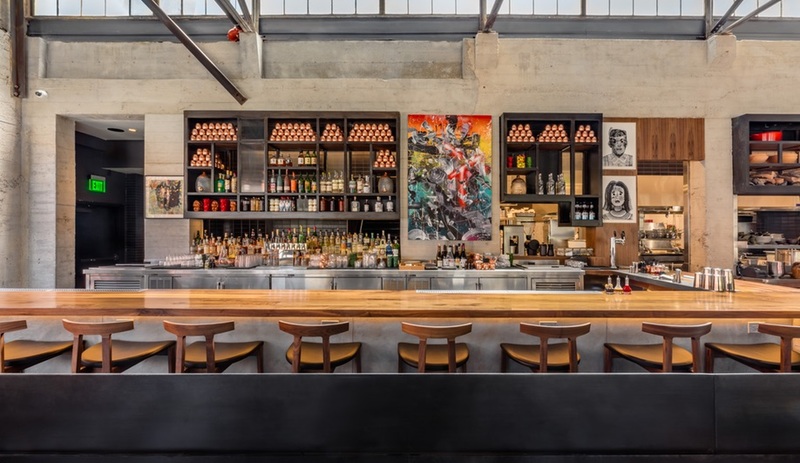 Chang’s personal touch is also evident in Majordomo’s art, which was provided by two long-time friends. 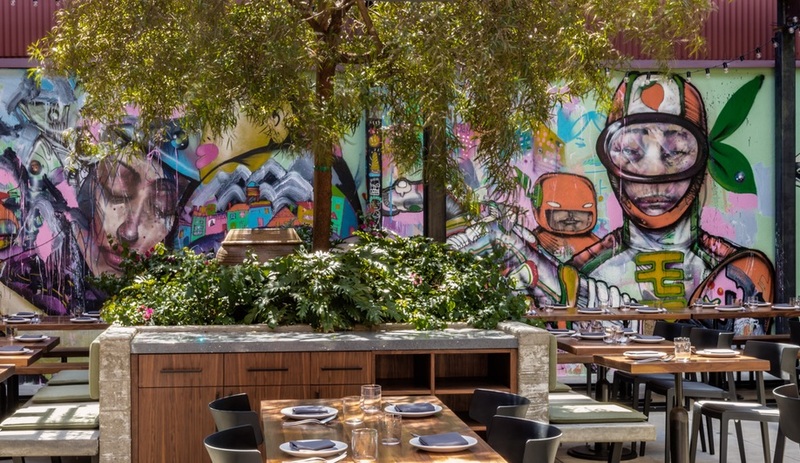 The dining spaces feature artwork by L.A. artist David Choe – himself a food-media personality, having appeared on Ugly Delicious and the late Anthony Bourdain’s Parts Unknown – while James Jean provided Pipette, which he previously created as a mural at Complex Con 2016. 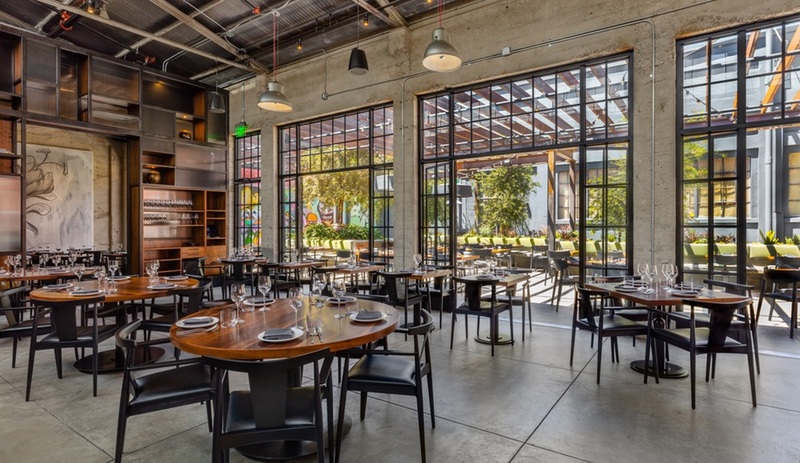 Critics have noted that Majordomo is Chang’s love letter to L.A. – to its sizeable Korean, Chinese and Japanese communities, to its abundance of local-sourced food and to its sunny-year-round climate. It’s no surprise, then, that the dining room features rows of French doors that open onto a 1,685-square-foot terrace. 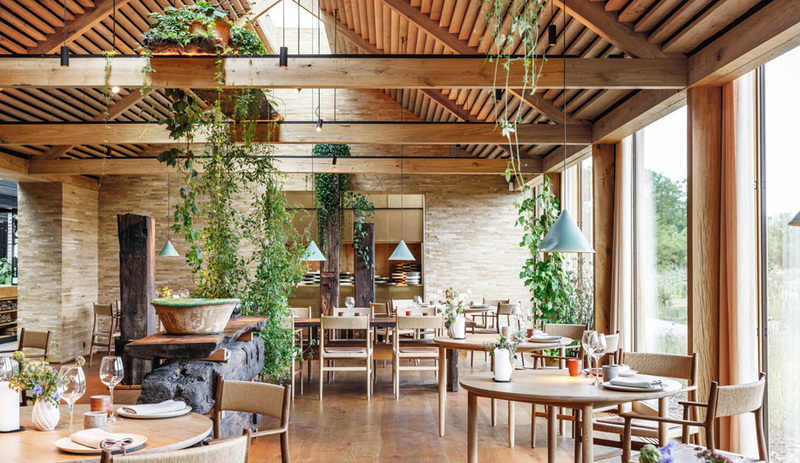 Featuring free and floating communal tables adorned with concrete benches, the terrace is defined by an African Sumac tree and a simple, but fitting, touch: rows of string lights.